vSphere Resource Management Guide, Chapter 10 “Using DRS Clusters to Manage Resources”, Section “Managing Power Resources”, page 67. Some background on this subject. The Distributed Power Management (DPM) feature allows a DRS cluster to reduce its power consumption by powering hosts on and off based on cluster resource utilization. If a host supports multiple protocols, they are used in the order presented above. If a host does not support any of these protocols it cannot be put into standby mode by vSphere DPM. Each protocol requires its own hardware support and configuration, hence BIOS and Management Settings will vary depending on the hardware (vendor). Note: DPM is complementary to host power management policies (See Objective 3.1, Section on Tune ESXi host CPU configuration). Using DPM and host power management together can offer greater power savings than when either solution is used alone. 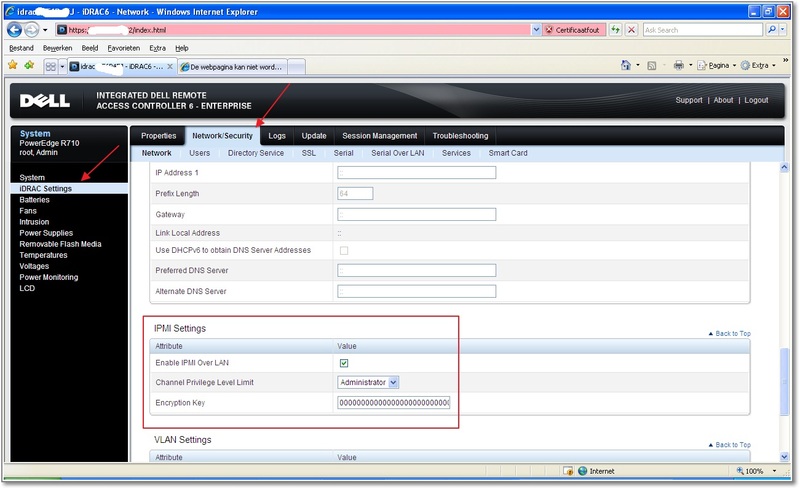 Example, configuring a Dell R710 server with an iDRAC (Dell Remote access solution) for DPM. A Dell R710 contains also a BMC, which is also needed. The iDRAC supports IPMI, but out-of-the-box, this feature is disabled. So, log on to the iDRAC, go to “iDRAC settings”, section “Network Security” and enable IPMI Over LAN. vSphere Virtual Machine Administration, Chapter 8 “Configuring Virtual Machines”, Section “Virtual Machine memory Configuration”, page 104. Changing the configuration can be done with the vSphere Client or vSphere Web Client. Is Hardware-Assisted Memory Virtualization always better? 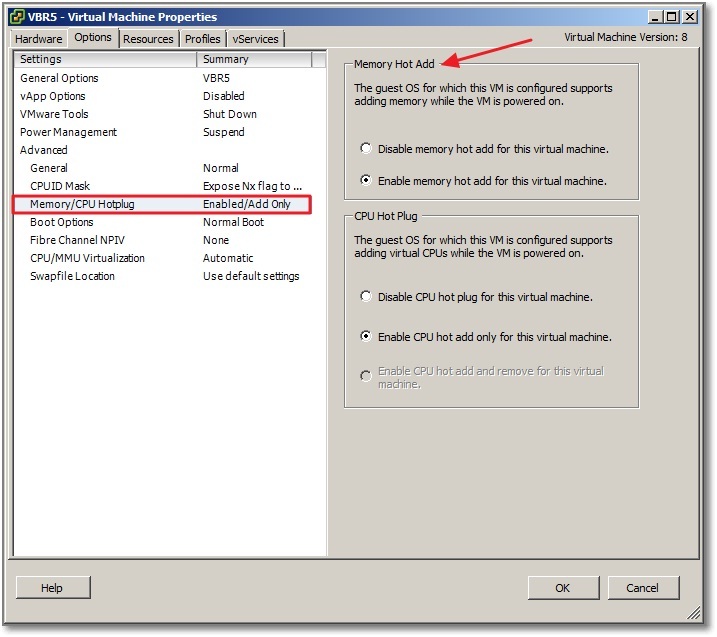 ESXi reserves memory per virtual machine for a variety of purposes. Memory for the needs of certain components, such as the virtual machine monitor (VMM) and virtual devices, is fully reserved when a virtual machine is powered on. However, some of the overhead memory that is reserved for the VMX process can be swapped. The VMX swap feature reduces the VMX memory reservation significantly (for example, from about 50MB or more per virtual machine to about 10MB per virtual machine).The host creates VMX swap files automatically, provided there is sufficient free disk space at the time a virtual machine is powered on. Good reading on the use of CLI tools on vSphere Networking is the vSphere Command-Line Interface Concepts and Examples document. Chapter 9 “Managing vSphere Networking”, section “Setting Up vSphere Networking with vSphere Distributed Switch”, page 122. However you can add and remove uplinks with use of the command: vicfg-vswitch or esxcfg-vswitch. To Add an uplink port. Load Balancing and Failover policies determines how network traffic is distributed between adapters and how to reroute traffic in the event of an adapter failure. The Load Balancing policy is one of the available Networking Policies, such as: VLAN, Security, Traffic Shaping Policy and so on. Load Balancing policy: The Load Balancing policy determines how outgoing traffic is distributed among the network adapters assigned to a standard switch. Incoming traffic is controlled by the Load Balancing policy on the physical switch. 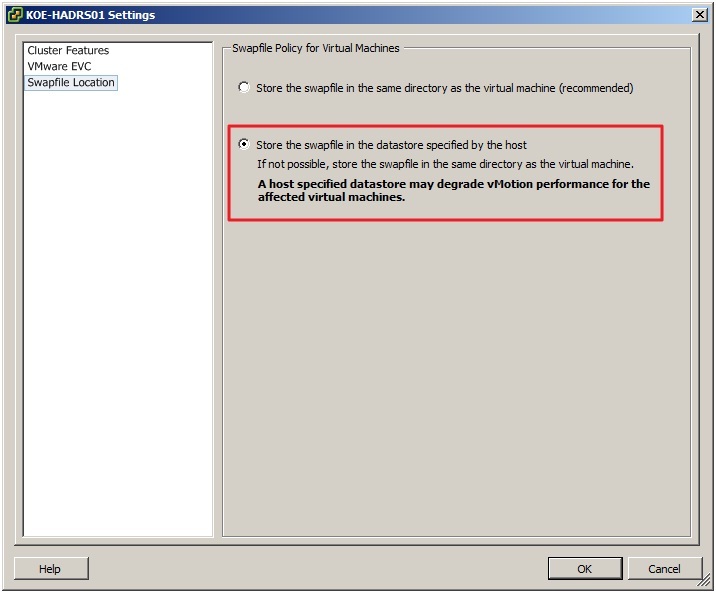 Editing these policies for the vSS and vDS are done in two different locations within the Vsphere Client. vSS, Host and Clusters, Configuration, Hardware, Networking. Select the desired vSS. “NIC teaming ” tab on the vSwitch level. Override on the Portgroup level. vSphere Networking, Chapter 7 “Advanced Networking”, Section, “VLAN Configuration”, page 68. 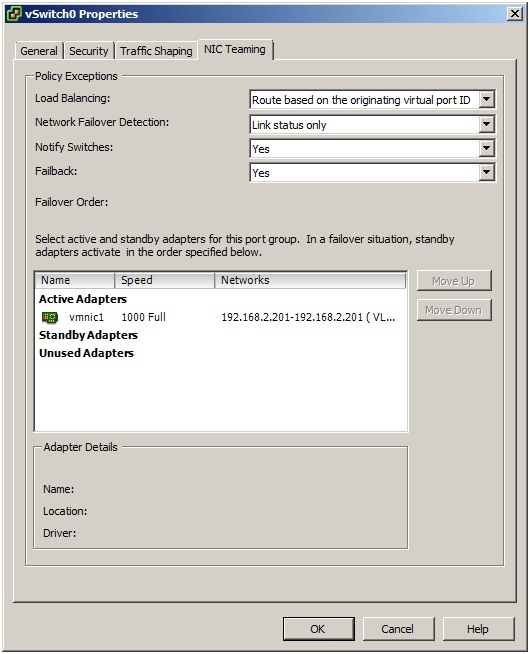 On a vSS you can only configure one VLAN ID per Portgroup. Now you can join physical VLANs to virtual networks. VLAN 4095 = All IDs. By default a dvUplink Group is configured for all VLAN IDs. You are currently browsing the Adventures in a Virtual World blog archives for July, 2012.